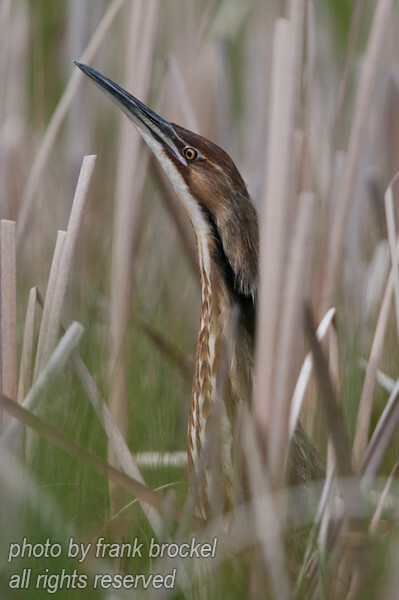 An American Bittern (Botaurus lentiginosus) in the reeds. It was tricky to get close to this one - I used a boat. The American Bittern breeds in all of Alberta except for the mountains. It is confined to extensive cat-tail marshes and bulrush stands. It winters in southern and coastal U.S.A.